Once the parts are 3D printed and software is burnt and ready for use, we can start wiring the components. Let's start with the slide switch. We'll need two wires here, each about 8cm in length. Remove about 5mm of insulation from the tips of each wire and tin them - this will prevent the stranded wires from fraying. Next, remove one of the three legs from the switch (can be furthest one from left or right, not the middle.) Then, trim the two remaining legs short (about half length). 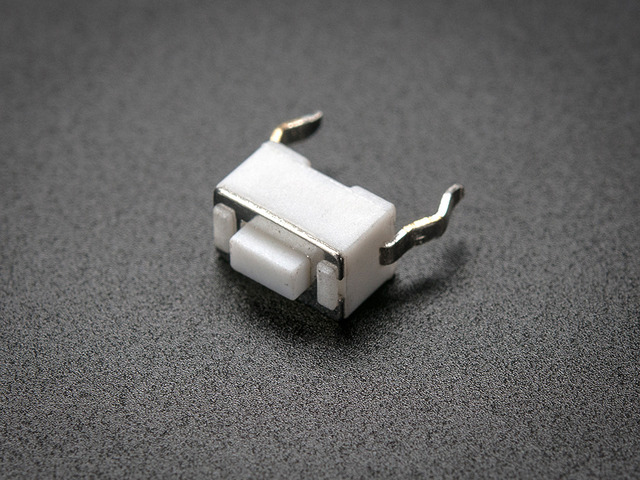 Now connect a wire to each leg on the slide switch by soldering them together. For the LED Sequin, we'll need two wires about 7cm in length. Strip and tin the tips of these wires. Then, solder them to the back of the LED Sequin PCB. I suggest tinning the pads on the LED Sequin first. 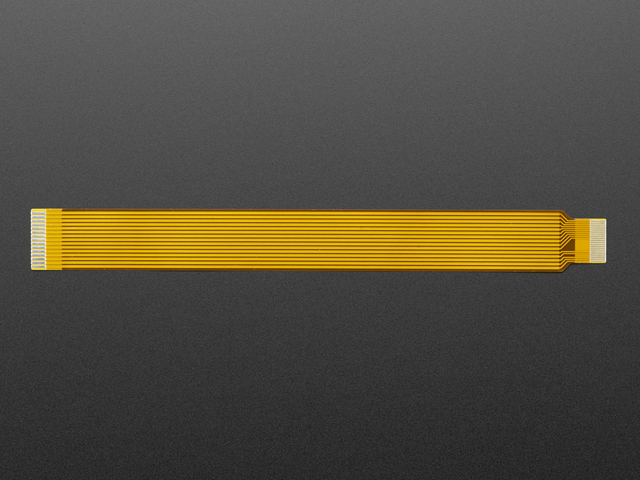 We'll need two wires about 7cm in length for the slim button. Trim the two legs to about half their size. Then, tin the legs from the inside. Solder wires to the legs, pointing inwards - reference the photo for ideal location. 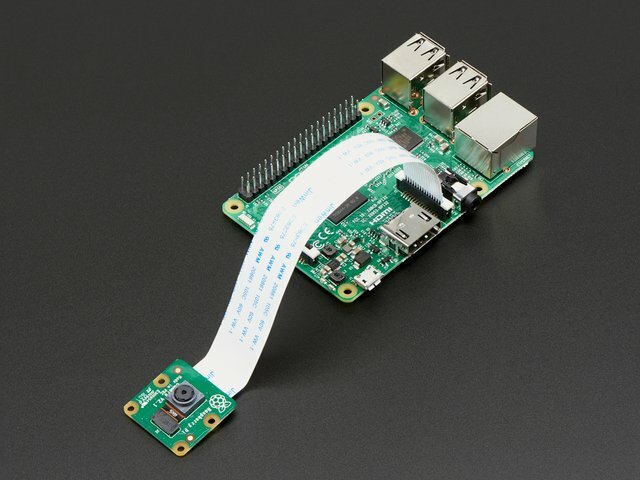 We'll need two wires to connect the PowerBoost 500C to the Raspberry Pi. These can be about 8cm in length. Solder one of the wires from the slide switch to the EN (enable) pin on the PowerBoost 500C, and the other to GND (ground). Polarity doesn't matter here. Now solder the two wires for the Raspberry Pi to the postive+ and negative- pins on the PowerBoost 500C. 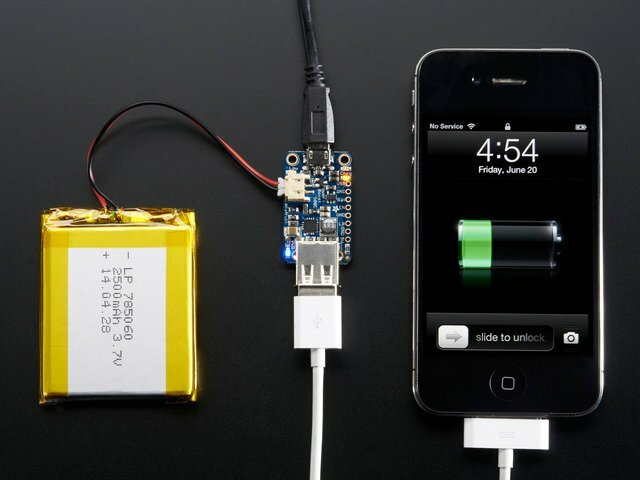 PowerBoost 500C output connects to 5V and GND. LED sequin + connects to GPIO5, – to GND. 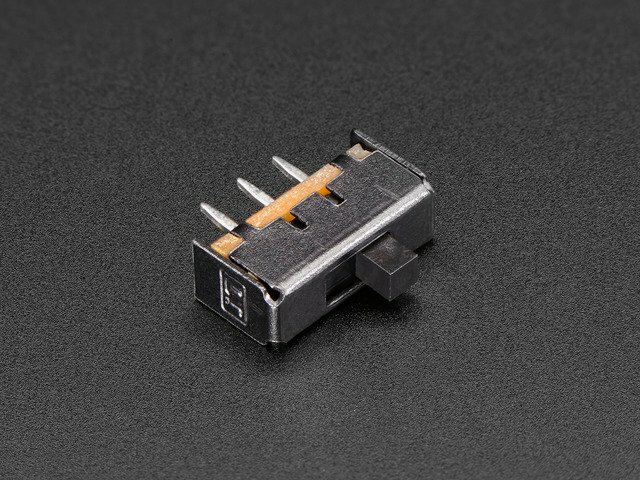 Halt button connects to GPIO21 and GND. If required, the LED and button pins can be changed; this is explained on the “Using It” page. Maybe you find it easier to route the wires to a different spot, or are building a camera with custom features. Here’s a full map of the Pi’s GPIO header, with our connections highlighted in blue. Although this project does not use a PiTFT display, those pins are marked “maybe” off-limits in the diagram below, since adding a screen (with a different enclosure) might be a popular upgrade project for ambitious makers. Solder the positive+ wire from the PowerBoost 500C to 5V on Raspberry Pi. Solder the negative- wire from the PowerBoost 500C to GND on Raspberry Pi. Best location is to wire them from the bottom of the Pi's PCB. 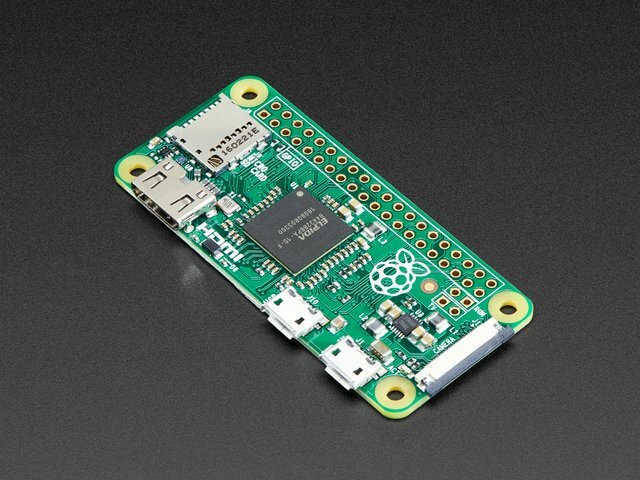 Be extra careful to get + and – to the correct pins or you’ll fry your rare and elusive Pi Zero board. Double-check all the connections before finishing up and switching on! Solder the two wires from the 6mm slim button to the GPIO on the bottom of the Raspberry Pi. One wire to GPIO21 and the other to ground. Solder the postive+ wire from the LED Sequin to GPIO5 on the top of the Raspberry Pi, and the negiative- wire to ground. Now the flex cable can be installed between the camera and Raspberry Pi board. The photo shows the correct orientation for each end. Peel the protective plastic tape off the camera lens. OK, now most of our components are wired up. We can run a test to see if everything works. Insert the SD card to the Pi. 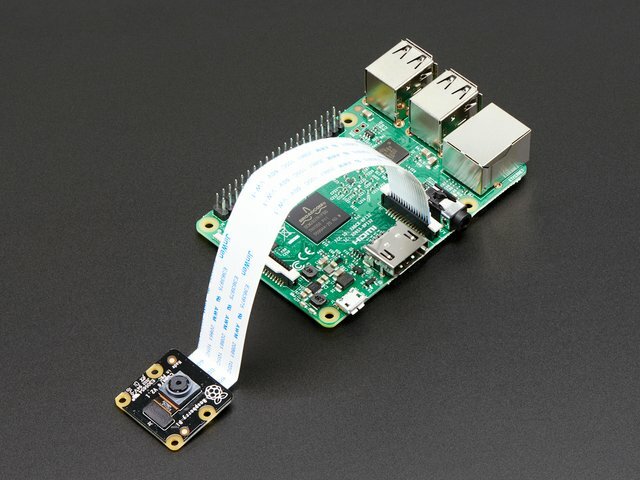 Connect the Pi camera module to the Pi. Plug in the JST connector from the 500mAh lipo battery to the PowerBoost 500C. If the blue LED turns on, the slide switch is on and Pi will power up. If not, slide the switch to turn it on. The Pi will take about ~1min to boot up (on initial startup). You should see the LED sequin turn on each time the Pi takes a photo. Allow it to run for a few minutes collecting photos, so you can confirm the camera connection is solid before sealing everything up. If it’s all working as expected, hold down the 6mm slim button for about ~3 seconds and wait about 30 seconds for the Pi to safey shut down. Then, turn off the PowerBoost 500C with the slide switch. Remove the SD card from the Pi and insert it into your computer. Your photos will show up in the “timelapse” folder. This guide was first published on Jun 30, 2016. It was last updated on Jun 30, 2016. This page (Wiring) was last updated on Apr 24, 2019.